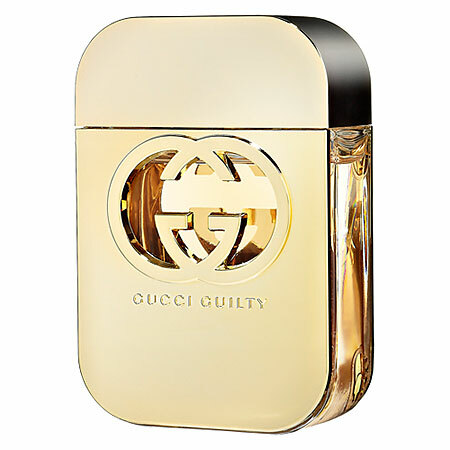 Gucci Guilty's sleek gold perfume bottle with interlocking G's is shiny and sleek enough to be a makeup case - and will wow any beauty packaging lover. Gucci Guilty the fragrance will also wow many young women who are looking for a fragrance which has a definate sensual and feminine statement to make - but never overwhelming. 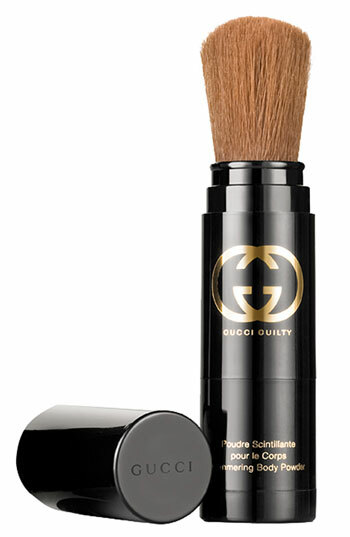 The classification of Gucci Guilty latest scent is a floral oriental, with notes of mandarin, pink pepper, peach, lilac, geranium, patchouli and amber. The opening is very fruity and yet "aquatic" at the same time, with the mandarin notes lingering on me. The the "spicy" pink pepper melds with the sweet peach for a nice first impression. The floral elements round out the fruity notes very nicely and lightly - the geramium and lilac are a nice touch and appear in the perfect amounts. The dry down of patchouli and amber was very light and almost creamy in it's touch. The staying power was also excellent, with the base notes staying with me long into the evening after applying in the middle of the day. Mandarin, pink pepper, peach, lilac, geranium, amber and patchouli. *This fragrance was provided courtesy of Gucci PR for reviewing purposes. Dieses Blog ist fantastisch, ich hatte keine ähnlich gesehen. Ich habe zu akzeptieren, fand ich es von einem Glücksfall, aber ich bin mit seiner Qualität beeinträchtigt. Ich hoffe, Sie auch weiterhin Posting mit der gleichen Leidenschaft, du hast es hier.